Salzburg is known as the city of Mozart. Its historical old town is one of the most beautiful places on earth, and has been a UNESCO world cultural heritage city since 1997. The city lies on the River Salzach and on one of the most historically important trade routes across the Alps. Salzburg can look back on a breathtaking history. The old part of the city is effectively enveloped by the Mönchsberg, upon which the Fortress of Hohensalzburg reigns over the city, as can be seen from miles away, and by the Kapuzinerberg, from which an old monastery peers down upon the city below. 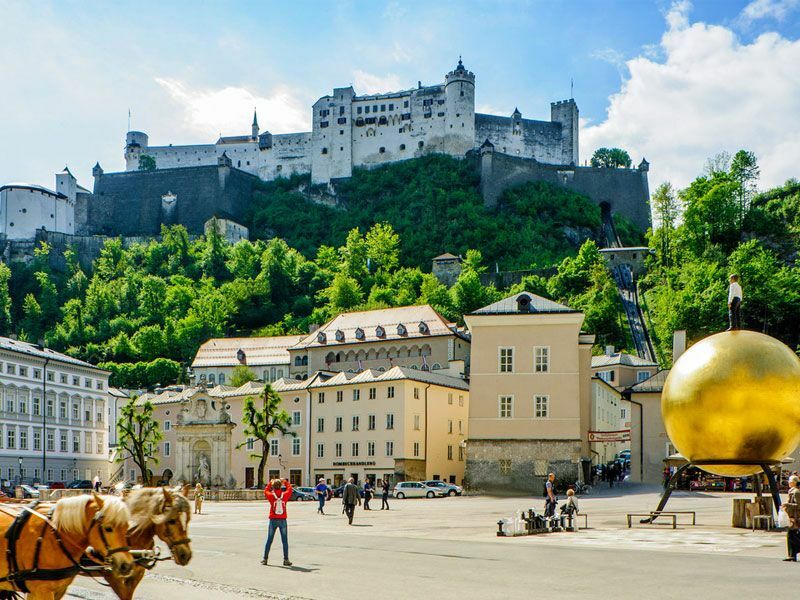 When visiting Salzburg guests from all over the world take the opportunity to visit all the places featured in "The Sound of Music" taking the Panorama Tours busses. The film has long since achieved cult status, especially abroad, and many fans dream all their lives of following in the footsteps of Maria in the city of Salzburg. Sound of Music Tours take you to all the places in the film, in and around Salzburg, and you’ll soon be tempted to break into the odd chorus of ‘Edelweiss’! Other tours with the Panorama Tours busses are a city tour, a Salzkammergut tour, a Kehlsteinhaus tour and many more. Here you get more information to Sound of Music. Over the last 75 years the Salzburg Festival has developed into an internationally renowned theatre. During July and August the festival stages 170 operas, concerts, theatre performances, readings and various other cultural events. The most significant contemporary pieces are performed as well as the grand classical operas and theatre plays. The concert sector also provides an important balance between our musical heritage and the latest creative musical forces of the modern era. Salzburg is well-known for its architecture. Here you get more informationen to Salzburg churches. 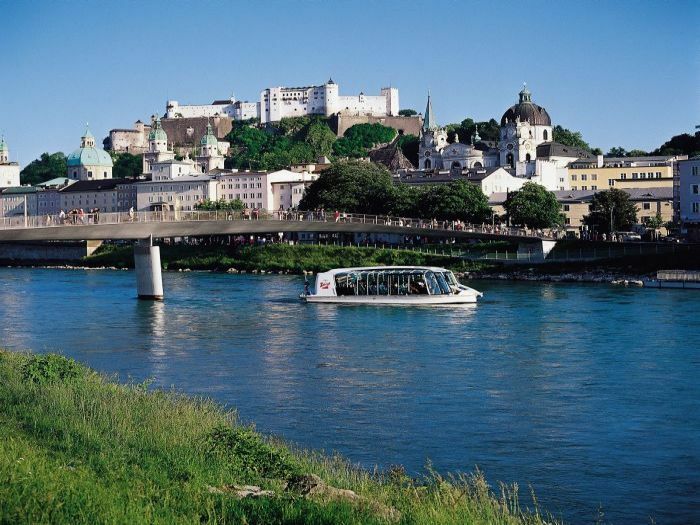 Explore the city of Salzburg totaly relaxed and use the public transport. Here you find more information about P & R South!